The Roman Temple of Mithras is reopening in London next week. Sadly not as a place where modern pagans can worship the ancient Persian solar deity the Mithraeum was originally dedicated to - or, indeed, worship Bachus, the Roman god of wine, which the temple was rededicated to in the fourth century - but people will once again be able to visit the ruins of the historic temple. Dating from the third century, nearly 1,800 years ago, the Mithraeum will be open to the public on Tuesday, 14 November, in a reconstruction on the site of its original discovery in the heart of the City of London. 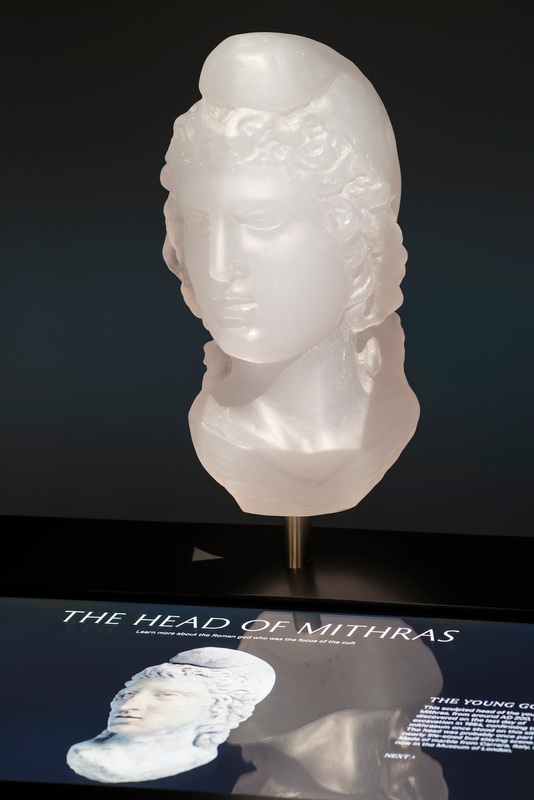 According to details from Bloomberg, the London Mithraeum Bloomberg Space is a free new cultural destination created as part of the development of the financial data and communication institution's new European headquarters. With its own entrance along Walbrook, the three-storey space will showcase the reconstructed temple seven metres below the streets of modern London, at Roman ground level. 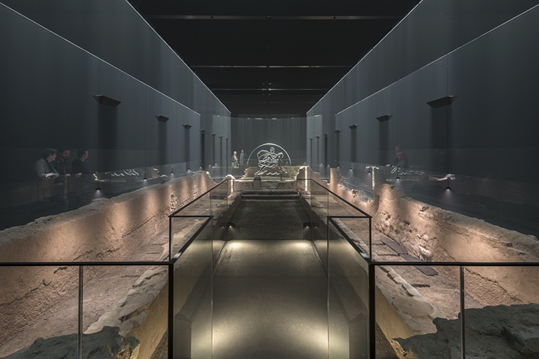 The temple is introduced on a mezzanine, directly above it, by a display of projections and interactive kiosks that invite visitors to explore the practices and symbols associated with the cult of Mithras. At street-level, Bloomberg Space will host contemporary art commissions reflecting broadly on the history of the site, as well as a huge vitrine displaying more than 600 remarkable Roman artifacts found during recent excavations at Bloomberg. The immersive temple reconstruction uses carefully directed lights, haze and sound to bring the temple’s remains to life, and to evoke the rituals and activities that took place within its cave-like walls.